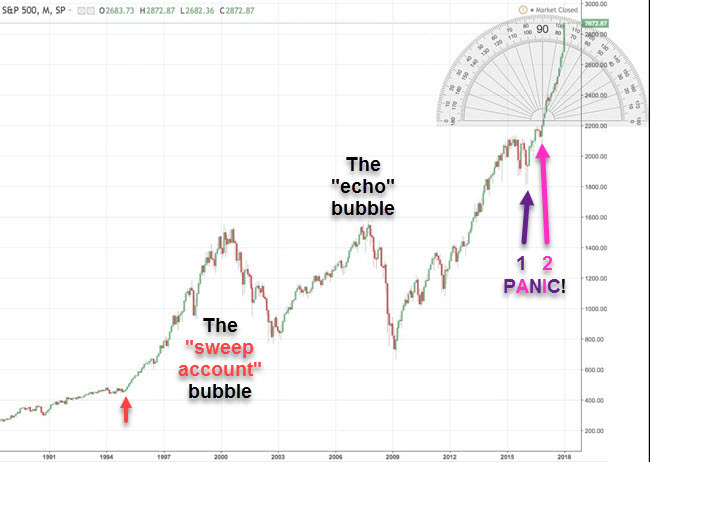 Take a look at the above chart and marvel at what ten years of unprecedented money printing can do for an asset market like the S&P 500. The current exponential curve from 2008 makes the previous two market peaks look like molehills next to a mountain. Chris Martenson, founder of Peak Prosperity, takes us back to the good ol’ days before the roller-coaster ride of 2008 and runs us through some similarities and differences between markets then and now. Hold on to your seats folks, it’s going to get a little bumpy from here….